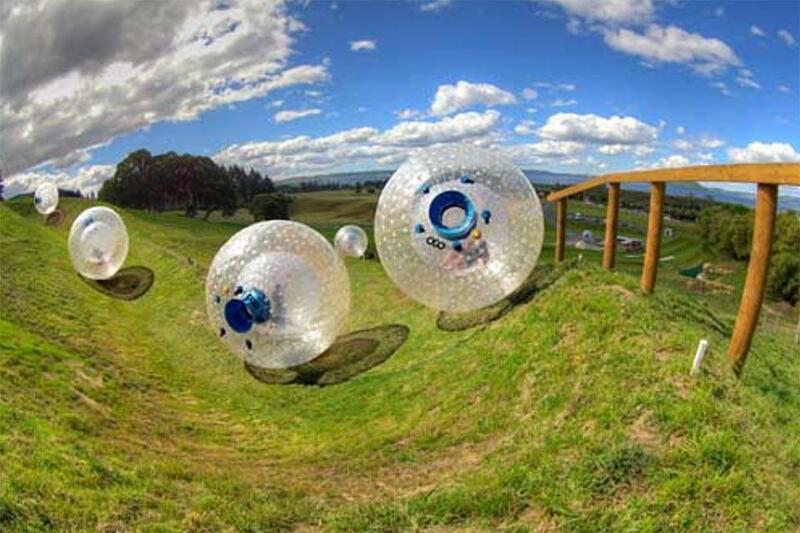 Have you ever heard of zorbing? This activity originated in New Zealand, but has now been brought to Pigeon Forge! At ​Outdoor Gravity Park​, you will climb inside an OGO, which is like a giant hamster ball made out of plastic, then roll down a 1,000 ft. hill. What&apos;s unique about this activity is that it&apos;s a splish and splash adventure! In the H2OGO, 10 gallons of water will be added so that you slip and slide down the hill. It&apos;s perfect for cooling off in the summer, or you can do it with warm water during the winter! The Coaster at Goats on the Roof​ is the most fun alpine coaster in the Smoky Mountains! You will take an exciting journey through the hills of Tennessee at speeds just under 30 miles per hour. Not to mention the incredible view! This coaster is the best way to see the beautiful sights while having a blast. The carts can comfortably fit 1 or 2 people and are equipped with hand brakes so you can control your own speed! After your fun on the coaster, stop in Goats on the Roof and get a can of goat chow so you can feed the goats who are on the roof! If you really want to feel like a local, attend a ​Tennessee Smokie​s baseball game. The Tennessee Smokies is a Class AA minor league affiliate of the Chicago Cubs. If you visit during baseball season, make sure you plan a day to go watch a game! The Smokies Stadium is known as “America&apos;s Friendliest Ballpark.” Throughout the season there will be special promotions like Dollar Dog Night and Taco Tuesdays that will make your experience at the game even more special! Rainforest Adventures Discovery Zoo​ features more than 600 live animals, representing over 130 species. It is home to a variety of unique creatures from the rainforests around the world. There is everything from reptiles, to mammals, to birds, to amphibians, to bugs! It&apos;s a great place for families with children to visit while you&apos;re in the Smoky Mountains. You can see lemurs, an African hedgehog, turtles, a blue and gold macaw, and so much more. Don&apos;t miss your chance to see all of these special animals! Not that you know some of the best things to do in the Smoky Mountains that are off the beaten path, it&apos;s time to start planning your visit! Find out more ​things to do​ while you&apos;re here, and see how we can help you save.